This document explains PAR’s policies relative to the duplication, distribution, and/or other uses of proprietary PAR test materials in any media, print, electronic, or otherwise, including the videotaping, audiotaping, incorporation, or use or translation of PAR proprietary materials into any form of digital or print media. This document further explains PAR’s policies and recommendations regarding the dissemination and/or interpretation of test results. Topics covered include trade secrets, electronic medical records, copyright (including “fair use”), the Family Educational Rights and Privacy Act (FERPA), ethical considerations, and litigation. This document states PAR’s policies and does not constitute legal advice. The copying, duplication, distribution or other use of PAR’s test materials without its specific written permission constitutes copyright infringement. In addition, disclosure of test content, whether intentionally or unintentionally, threatens the ongoing validity of the test results, the continued utility of the relevant test instrument, and, therefore, its commercial value. Consequently, PAR takes specific measures to protect the security and validity of its testing instruments, including establishing institutional policies restricting use of copyrighted materials, monitoring the use of copyrighted materials in educational settings, creating written guidelines for providing parental access to children’s test results, and emphasizing the importance of adherence to copyright laws in the corporate setting. The security of its testing materials is very important to PAR. We consider tests and test materials to be trade secrets, protected to the fullest extent under law. Test questions and answers, profile forms, manuals, stimulus materials, and other items accompanying the test are confidential, and PAR takes steps to secure and ensure confidentiality of such material throughout the development process. For example, all PAR employees, external consultants, and examiners involved in data collection must sign a confidentiality agreement. PAR also works to maintain the security of test materials after publication. Assessment instruments are sold only to qualified individuals, who are obligated by professional ethical standards to protect the integrity of the materials by maintaining the confidentiality of the questions and answers. The PAR Customer Qualification Form must be completed by all customers prior to the purchase of assessment products and related materials. The Qualification Form requires that each purchaser show that he or she is appropriately qualified to buy test materials and pledge that he or she will follow ethical rules of test use and interpretation. When paper-based tests are scanned and entered into electronic medical records, care must be taken to ensure that the record is complete, that data quality is not comprised, and that paper forms are properly destroyed in a controlled environment. Test materials retained in an electronic format must be stored in a secure manner, with secure backup. The EMR/EHR or electronic digital storage system in use must have appropriate security levels in place to limit access to such information. Any system in use shall utilize access controls, such as passwords and/or PIN numbers, to restrict access. Additionally, sensitive data and information should be encrypted. Finally, the system should have a mechanism to record who has accessed information, including capturing if changes were made, who made such changes, and when. The qualified professional who is utilizing the assessment must ensure, through inquiry, observation, and representation from information technology professionals, that the digital storage or EMR/EHR selected and applied can provide the necessary level of security. Nonprofessional staff must be informed of the requirement for the protection of psychological test materials, and the stipulation that access to such materials is restricted to qualified professionals only. Test results and/or reports that are generated from either Web-based or desktop computerized test administration and/or scoring should be downloaded, filed, and stored with the patient’s record that is retained within the EMR/EHR system, or other digital storage method employed by the professional. Essentially, the qualified professional who is using a digital storage method is charged with applying and employing the same safeguards that one would use with sensitive paper files, as well as ensuring that additional security measures are in place to protect electronically-stored records to reduce the threat of unauthorized access. For additional information on PAR’s position regarding the disclosure of test materials to comply with the Privacy Rule of the Health Insurance Portability and Accountability Act (“HIPAA”), please click here. Unauthorized distribution, use, duplication, or copying of PAR tests (including, but not limited to, audio- or videotaping during test administration or transmission of test information through another medium) constitutes copyright infringement. The copying of our tests does not fall under the “fair use” exception of copyright law because, among other reasons, copying has a significant detrimental effect on the potential market for the copyrighted works. Moreover, PAR’s publications include instruments that are the results of years of research, analysis, and effort by skilled authors. Unauthorized use of their work denies those authors compensation for their labor. Therefore, PAR prohibits unauthorized copying, distribution, or other use of tests or other materials from PAR. (2) the right to obtain copies of the records from the [school] where failure of the [school] to provide the copies would effectively prevent a parent or eligible student from exercising the right to inspect and review the education records” [34 C.F.R. § 99.11(b)]. FERPA does not require release of test items and protocols. A school has an obligation to provide copies of test results, and only in circumstances in which other arrangements to provide parent access to the records cannot be made. PAR suggests that that schools may want to have specific guidelines regarding the disclosure of test materials. PAR encourages professionals to review test results with parents, including, when necessary, responses to individual items. In some cases, this may require revealing an individual test protocol or an answer contained in a test booklet. However, PAR prohibits the release of copies of protocols. Our tests are valuable assessment instruments that are widely used throughout the field of educational and psychological testing. Breach of test security threatens the validity of the tests and, therefore, the tests’ value as measurement tools. At the very least, if school legal counsel recommends that the school release copies of any test materials, PAR recommends a confidentiality agreement signed by the parents. A significant investment has been made in developing and norming our tests. Revealing test items to the public compromises the value of such tests and may interfere with PAR’s business profit objectives. The original dissemination of PAR test materials is restricted to individuals with a professional background in psychology or a closely related field, and only individuals with appropriate training in psychological assessment should interpret the tests. Under the Standards for Educational and Psychological Testing (American Educational Research Association, American Psychological Association, & National Council on Measurement in Education, 1999), psychologists have an ethical duty to protect the integrity of secure tests by maintaining the confidentiality of the questions and answers to the tests. 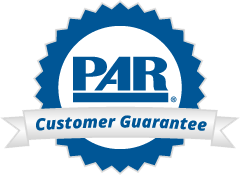 PAR takes the position that, in addition to constituting a breach of license and/or actionable copyright infringement, it is inappropriate and irresponsible for individuals to resell test materials on Web sites such as eBay or Amazon unless the seller affirms sufficient educational and professional qualifications of the party purchasing the material(s). Psychologists and test administrators must also consider the conditions under which tests are administered. It is the professional’s responsibility to determine if testing conditions are appropriate for obtaining valid test scores. PAR values the swift progress of legal proceedings, but it is essential that the litigation provides, not undermines, the security and integrity of PAR’s copyrighted and confidential test instruments and materials. Consequently, before proprietary test materials are released to non-professionals such as counsel, it is essential that the court enter a protective order (a) prohibiting parties from making copies of the materials or from sharing copies of the materials with non-parties; (b) requiring that the materials be returned to the professional at the conclusion of the proceedings; and (c) requiring that the materials not be publicly available as part of the record of the case, whether this is done by sealing part of the record or by not including the materials in the record at all. Additionally, if testimony reveals item content or confidential test data, it is PAR’s policy that the court be asked to seal the disclosure and exclude the disclosure within the court record. It is further PAR’s policy that pleadings and other court filings should not, unless absolutely necessary, make specific reference to the content of or responses to any item, and then only if the relevant pleadings or filings are sealed as to such references. Finally, it is PAR’s policy that the judge or tribunal be asked not to include descriptions or quotations of the items or responses in any judicial report, recommendation, or opinion, including both findings of fact and conclusions of law. PAR takes the position that these steps are critical to protect our copyright, as well as the security, integrity, and validity of the tests and test materials. Please feel free to use this policy statement along with the company’s name in your materials. We appreciate your concerns with regard to this issue. If you have other questions, please contact PAR at 1.800.331.8378 and ask to speak to Travis White.